Contest #3: Like the Page – Win a Book! The last contest was a success, with over three hundred people tweeting about Galaxis! Some people mentioned that they do not have twitter, so this contest is just for them (and anyone else on Facebook)! 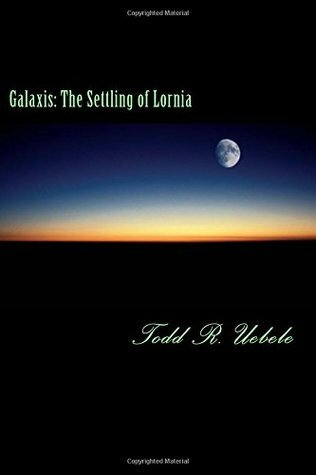 Between now through Halloween, all you have to do is like the Galaxis Book Facebook page, and you will automatically be entered for a chance to win a copy of Galaxis: The Settling of Lornia! That’s wonderful!! You are a cut above the rest, and are already entered!! As a token of my appreciation for your support, there is absolutely nothing you need to do. Just sit back and see if you win and know that you have my thanks :). If you do not already like the page, then now is your chance! There is a link at the top of the blog post, so click on the link and then “like” it and you are entered to win! What if you get more than 200 likes? That’s a good question. I’m trying to keep things realistic given the short time frame, but if there are more than 200 likes, I will add in other prizes to go along with the free book. Thank you to everyone who made Contest #2 a success. Good luck in Contest #3!! Previous Previous post: Contest #2: Congratulations to the Winner!